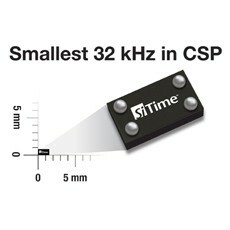 SiTime’s SiT15xx family of 32 kHz oscillators to extend Telit’s Jupiter SE880 GPS receiver hibernation periods at 15µA while maintaining snap start to less than a second. 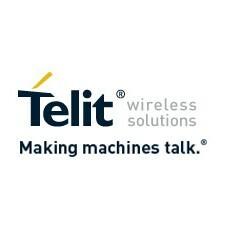 Telit Wireless Solutions, a global provider of high-quality machine-to-machine (M2M) solutions, products and services and Sunnyvale, California based SiTime Corporation, an analog semiconductor company that is revolutionizing the timing market, today announced that together – Telit’s Jupiter SE880 and SiTime’s SiT15xx oscillators – have enabled the world’s smallest and lowest power GPS receiver with extended hibernation periods at 15µA while maintaining Snap Start to less than one second. SiTime’s SiT15xx family of microelectromechanical system (MEMS) silicon oscillators overcomes the limitations of crystal quartz-based devices in several ways. SiTime’s devices offer area savings of 85%, cut power by 50% and are 15 times more reliable, all of which enable smaller, lower power and longer lasting tracking and navigation devices together with Telit’s Jupiter SE880 miniature GPS receiver. Telit’s miniature 4.7×4.7mm LGA (Land Grid Array), SiRFstarIV™-based Jupiter SE880 receiver module not only employs leading heterogeneous 3D integration technology, but also provides ways and means for utilizing the latest star products in the fast evolving TCXO and 32kHz technologies. This enables receiver designs that are best in class in performance and all other dimensions critical for regular or size-constrained GPS applications. Its state of the art RF front-end employs spatially calibrated waveguide-quality radio paths inside the three-dimensional space of its architecture drastically reducing system noises and parasitic impedances characteristic of traditional 2-D RF designs. Inside, a multi-filter system includes not only the traditional SAW filters typical in GPS receiver designs but also a 2.4 GHz notch-filter capable of nullifying the jamming effects of high-energy radio devices such as Wi-Fi hot-spots, Bluetooth systems, cordless phones, and others, which greatly affect a GPS receiver’s ability to resolve timid satellite signals in the hostile radio environment where they need to operate. “SiTime has re-invented the timing industry with silicon MEMS timing solutions that overcome the limitations of quartz and dramatically improve customers’ designs with higher performance, lower power and smaller size. Our ultra-stable SiT15xx family of 32 kHz oscillators is extending these benefits to the fast-growing mobile market” said Piyush Sevalia, executive vice president of marketing at SiTime. “Wearable technology is an emerging application area in general particularly for geo-location,” said Mike Ueland, senior vice president and general manager of Telit Wireless Solutions North America.